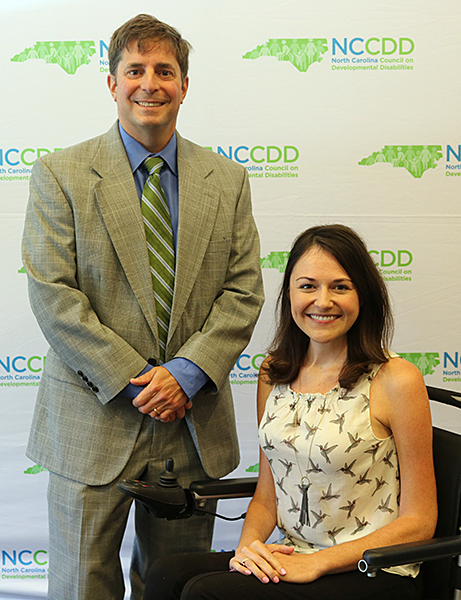 Welcome to the I/DD community and the North Carolina Council on Developmental Disabilities. The Council works to improve the opportunities and lives of North Carolinians with I/DD through advocacy, capacity building and systems change. In the "Welcome" section of the website, you will find organizations and resources that provide supports and services to people with intellectual and developmental disabilities (I/DD), families, caregivers and the community. With its partner organizations across the State, the Council works to provide the statewide community with the information they need to enjoy independent lives in inclusive and integrated communities. Self-advocates "Speak Out" – Hear what members of the community think! Publications – Find valuable information you can read, print out and use as you learn more about the I/DD community. Glossary and Terms – Learn our lingo! Forms – Apply for programs, getting involved on the Council and more! Be sure to sign up for our newsletters, calendar reminders and alerts and be sure to check out our calendar often for new events!